So this is what the interior of theDumpster looks like. It is shown here at the Invisible Dog Art Center in Brooklyn. Kacy Jahanbini took this picture. This is the right interior side of the Dumpster. There's a back and a left side, too. Also, a floor and a roof. Yup, it's a place. 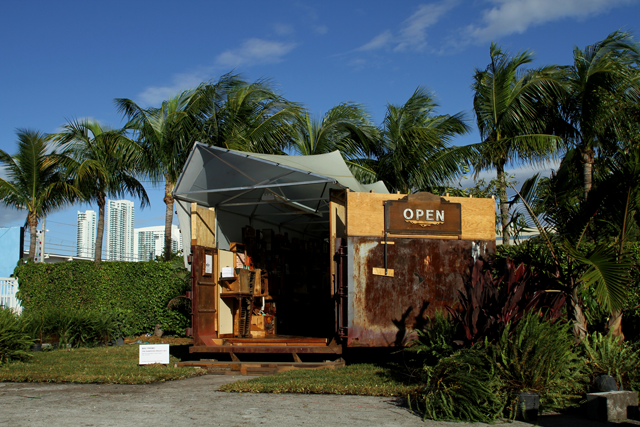 I am represented by the good folks at the Pavel Zoubok Gallery, who brought the Dumpster to Miami last winter for the Pulse Art Fair. Here it is, Miami-ing it up. And this is how it travels. On a truck. A dumpster truck. I visited it yesterday. The one stalled in the Metrotech Center, Brooklyn. Impressive. 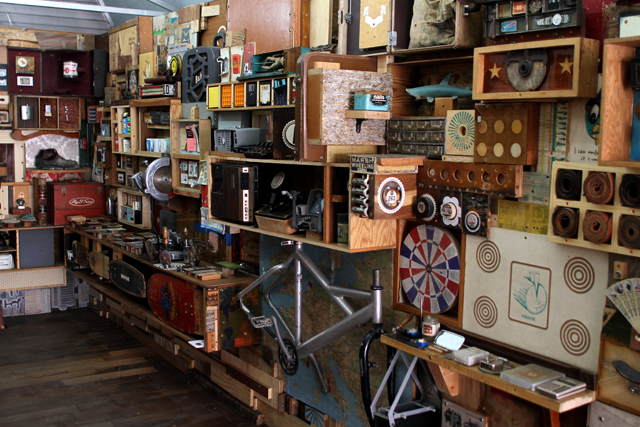 An unconventional way to treasure your memories! Welcome to the Dumpster Project! 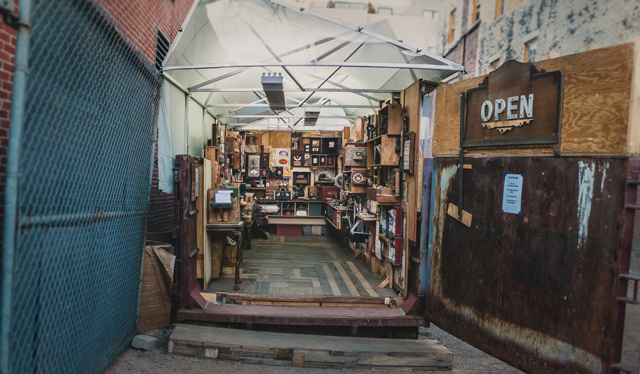 The dumpster is an interactive math and science lab that also happens to be a 33 sq. ft. home for a professor. What does home look like in a world of 10 billion people? How do we equip current and future generations with the tools they need for sustainable living practices? We believe awareness, education, and fun are critical to answering this question - and that's why we got a dumpster. 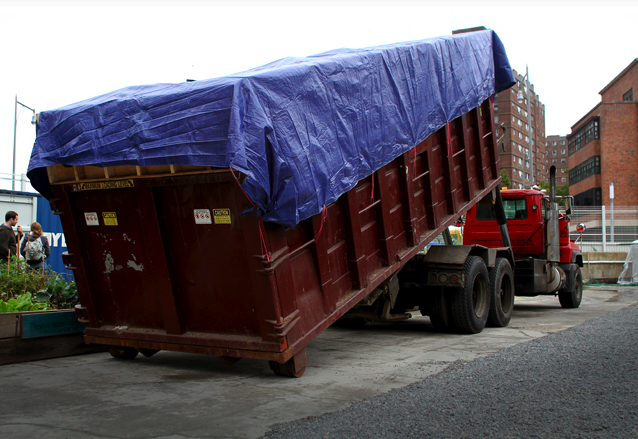 During the yearlong Dumpster Project, the dumpster will become an interactive teaching lab led by an environmental science professor (aka 'Professor Dumpster') and his Dumpster Team. 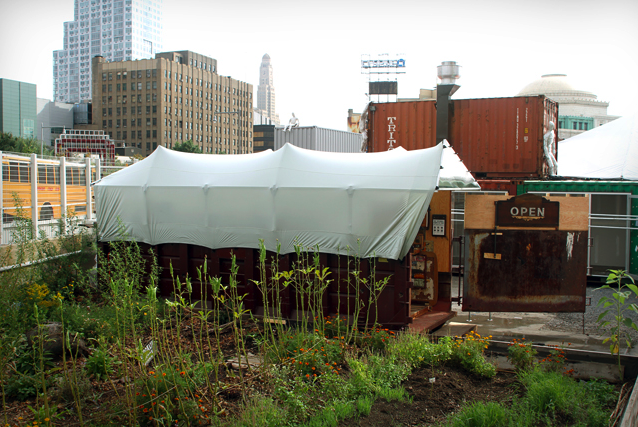 The lab will challenge students of all ages to use their math and science skills to transform the used dumpster into a sustainable home. Why a home? Well, it's because Professor Dumpster is moving in! its not for sale right? Absolutely it is. We would love to find a home for it.